Disclaimer: All the information about the Philippines available on this blog is based on our stay in January 2016. Since then, the political situation in the country changed drastically. While we do believe that visiting the country will still be safe for tourists, we recommend to follow the recent news about the country closely and be in touch with your local embassy! The Philippines are an archipelago of roughly 7000 islands in the West of the Pacific. The country is famous for wonderful beaches with clear, blue water but also magnificent rice terraces in beautiful mountainous terrain. El Nido, a hidden paradise? Our friend Shaun also made a video about their stay in Boracay and El Nido. Check it out here! 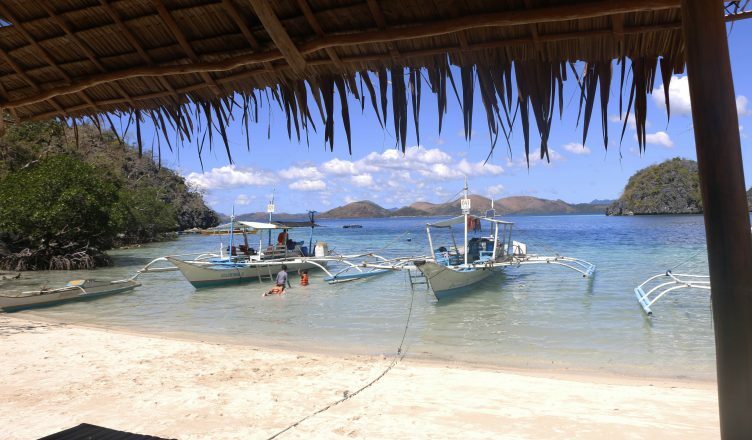 In this article we would like to provide some more general information about the Philippines! The Philippines use their own currency, the Filipino peso, which is worth approximately 1€=50PHP. Of course you can supply yourself with enough cash at a local bank at home, but most of people will probably want to rely on either debit cards or exchange your own currency in the Philippines. Generally it has to be said that you cannot get money with a debit card everywhere. While Union pay is widely accepted and even provides you with cash in the middle of nowhere, Maestro and Visa are not as widely accepted. The only bank that provided me personally with cash was the PBI. Foreign Exchanges for cash however are available in many places, for example in more distant towns such as El Nido. The Philippines will not surprise you with a diverse cuisine, because the Filipinos obviously love meat and barbecues in general. This might not sound bad at first, but as there is usually no salads or sauces to accompany this you will get bored quickly. The filipinos however have a taste for Western food and so it is easy to find many fast food restaurants. The infrastructure in the Philippines today is better than in many other travel blogs described before – clearly an effect of the fast development in the tourist industry. Nevertheless, you should be aware of a few issues. 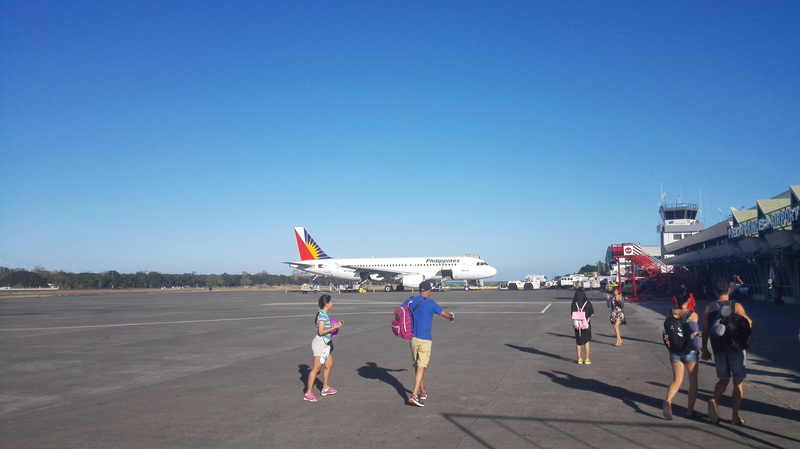 The fastest and one of the most comfortable ways to get from island to island in the Philippines is the use of planes. Almost any small town, especially on the islands, seems to have its own airport. Very often they will seem more like a bus station than an airport but they do the trick and they all usually connect with Manila which can be seen as a hub within the Philippines. We took a flight once during our stay and booked it in advance – many friends and also other blogs however recommend to just go to the airport and hope for the best. From our impression this is definitely possible but we don’t know whether this is cheaper. Naturally most islands in the Philippines are also connected by ferries. These are obviously a lot slower than the planes but are also a lot cheaper and in many cases also more comfortable! Provided you don’t get seasick! The big ferries sailing around the Philippines are mainly operated by the company “2Go”. We took one of their ferries tourist class from Coron to Manila. In this class you share a big cabin with roughly 200 other passengers – this sounds worse than it is, it felt like a long haul flight with the ability to walk around a little more. We’d like to point out, that the super value class is basically the same, just ‘open air’ and only protected by a sheet. In the Philippines the weather is really warm most of time so I guess this can be enjoyable but I wouldn’t want to experience this in bad weather conditions. Generally, I found our trip with 2Go very pleasant and would recommend it to anybody. However you should just be aware of what you book exactly! There are also smaller ferries connecting towns with smaller distance from each other as well. 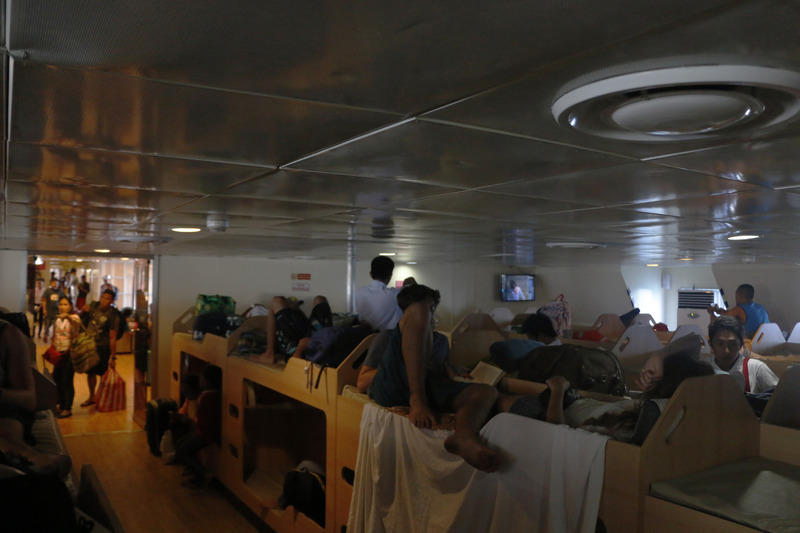 These ferries can hardly be found on the internet, but travel frequently between towns. You can usually book them in booking offices or restaurants in the local towns. 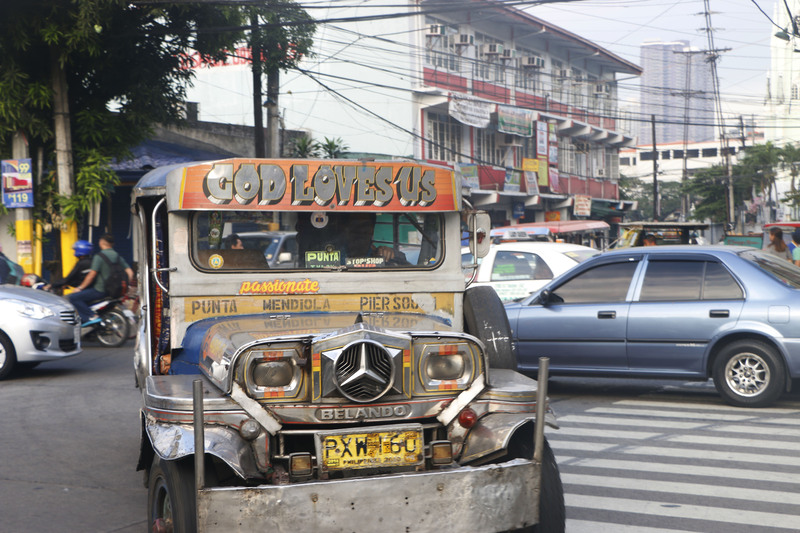 The Jeepneys are next to the tricycles as the most famous Filipino vehicle. They serve as a replacement for public buses and connect villages and towns in most areas. The destinations and some stations are written along the sides or somewhere at the front of the Jeepneys, but if you can’t find your destination don’t hesitate to ask people. These Jeepneys are the cheapest way to get around on the Philippines and even if you are not on a tight budget you will find yourself inside one of these vehicles very often! Many people recommend to have a ride on the rooftop of a Jeepney while others consider this to be unsafe. I wouldn’t tell you that this is a safe way to travel but the Philippines are the wrong destination for you if you worry too much about your safety. The tricycle is the Filipino version of a taxi. It consists of a Motorbike with a small sidecar attached to it. Same as the Jeepneys they are usually decorated and fill the streets in many Filipino towns. To get one, you will just have to stop one and tell them your destination, when you agree on a price you are then ready to set off. From our experience most drivers will only take the job if they know the destination, there was only one exception in Manila. The driver did the best for us to find the way and I genuinely had the feeling that he regretted this mistake, still we have to recommend to make sure that the drivers know the way. Coaches are probably the most common way of covering large distances on Luzon. Again, Manila serves as a hub for the coaches which can bring you to most places around the island. A lot of companies operating coaches are located in Sampalo which is quite central in Manila.